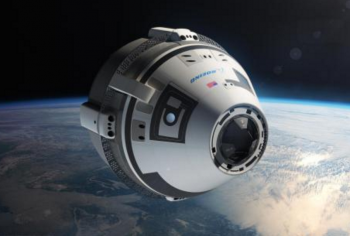 As part of the standard series of reviews before the NASA Advisory Council (NAC), NASA’s Commercial Crew Program (CCP) has provided an update on SpaceX and Boeing’s initiatives to provide crew launch services to the International Space Station beginning next year. Overall, the presentation by Ms. Kathryn Lueders, Manager of NASA’s Commercial Crew Program, to the NAC was overwhelmingly positive, with Ms. Lueders noting that she’s been “impressed with how both these providers with their fixed price contracts are not writing off their issues. They’re not saying it’s okay. They are going and doing the testing and the work that needs to be done. 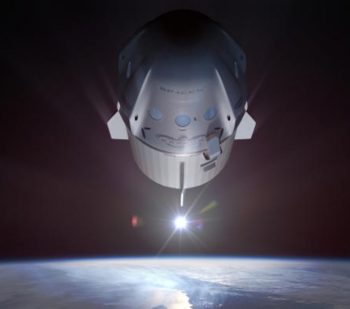 Ms. Lueders was specifically referencing the tight but achievable timelines both SpaceX and Boeing have in order to meet the current projected dates for both company’s crewed demo flights of Dragon and Starliner, respectively. Both of those flights are currently scheduled for 2018 – with SpaceX’s crewed demo in May and Boeing’s in August. When asked by a NAC member about the crewed launch dates for next year, Ms. Lueders stated, “I think a lot of things have to go our way. I think they are pretty tough right now. 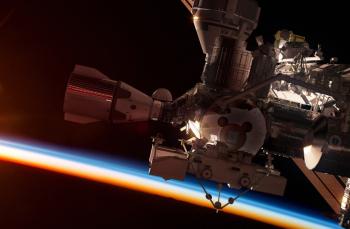 The PCMs – the Post-Certification Missions – are the contracted flights NASA has with SpaceX and Boeing for full commercial crew transportation and lifeboat services with the ISS. Regardless of the challenges still facing both Boeing and SpaceX in their development of crew transportation services, none of those prevented NASA from awarding PCMs 3-6 to both providers in December 2016. According to Ms. Lueders, “This is important for us because we wanted to really let both providers understand and lay out what’s the best way for them to reliably fulfill the whole portion of the contract. [Awarding PCMs 3-6 to each] gives them some stability” to go do that. 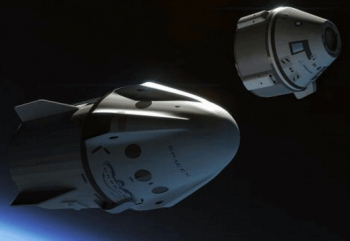 With these awards, both SpaceX and Boeing have four missions for each of them for commercial crew rotation services and lifeboat activities for the US segment crew on Station at upcoming dates. 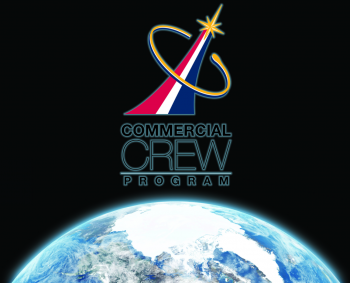 At present, the CCP office is working with SpaceX and Boeing to make sure all parties involved understand the requirements that need to be closed out and met for each of the upcoming demonstration missions – both uncrewed and crewed – so that all flight test objectives are planned for and met properly. Ms. Lueders also touched upon how NASA is approaching the launch of crew members, government employees, on commercial vehicles that have to undergo FAA licensing for launch. 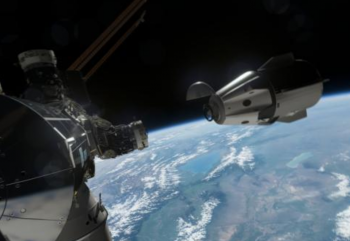 This means that the first commercial crew launches of government employees will represent the first instances that certain sections of the FAA oversight guidelines governing commercial space vehicles are exercised. According to Ms. Lueders, “We’ve been working and collaborating with multiple agencies to make sure we can facilitate how this is going to work. Specifically, this relates to search and rescue and recovery operations that are needed to support the launch of crewed vehicles. 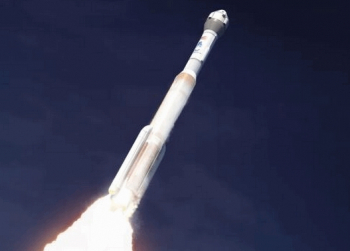 This has resulted, according to Ms. Lueders, in the creation of a launch and entry steering group with representatives from the FAA, the Air Force, the Eastern Range, and NASA all working to provide a “forum for all the agencies to … establish guidelines and strategies” for this new approach to crew launch and landing operations. As with all human spaceflight activities, mitigating the potential risk and establishing safety baselines to avoid a Loss Of Crew (LOC) situation is key. 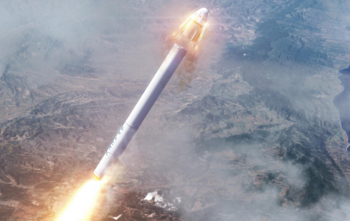 From the outset of the CCP initiative, NASA established a baseline requirement that all commercial launch providers meet a LOC criteria of 1 in 270 – meaning that for every 270 flights, only one would result in an LOC event. Currently, there is a gap in what the data analysis shows both Boeing and SpaceX are capable of providing and that 1 in 270 requirement. 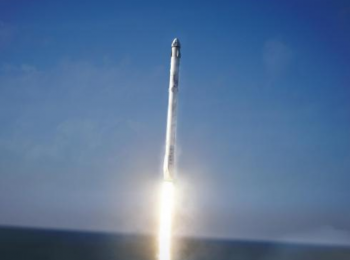 While Ms. Lueders did not state exactly what SpaceX and Boeing specifically are able to provide in terms of the LOC requirement, there was a discussion centering on the reality of what technology is able to provide and the requirement NASA has set. Specifically, Ms. Lueders stated that NASA and the providers are working hard to close this LOC gap as well as examining the feasibility of doing so with the processes in place by the contracts and requirements. Coming out of the end of the Shuttle program where the Shuttle had a post-program derived LOC number of 1 in 65 (according to Mr. Wayne Hale), an initial benchmark was set by NASA that commercial company vehicles and all subsequent government vehicles, too, should meet a safety factor 10 times that of Shuttle, or an LOC requirement of 1 in 650. That was quickly determined to be completely unfeasible by all parties involved, and a new benchmark of 1 in 270 was set. After this requirement was set, however, new MMOD (Micro Meteoroid Orbiting Debris) stringent requirements were imposed, which – with a few other items that Ms. Lueders did not expand upon – made it challenging to meet the 1 in 270 LOC benchmark requirement. Ms. Lueders did note that a subsequent revision to the LOC requirement of 1 in 200 was offered to the providers, but even this is proving to be a challenge. “They’re still updating MMOD protection and a few other critical areas including looking at operational controls, and when we get through all that we’ll be in a better place to talk about our final LOC projection,” stated Ms. Lueders. 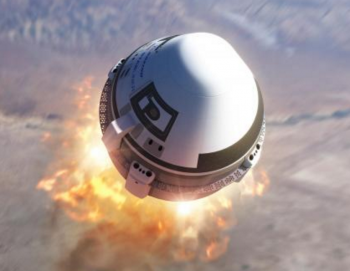 According to the accompanying presentation for CCP to the NAC, Boeing has completed the Critical Design Reviews for both their ascent and entry suit systems for the crew as well as the base heat shield for the CST-100 Starliner vehicle. Since the last NAC update, Boeing has completed wind tunnel testing of the launch vehicle adapter skirt, conducted International Docking Adapter and NASA Docking System testing at the Johnson Space Center, successfully dropped tested the parachutes and tested their deployment sequence, hot fired the launch Abort Engines with their new propellant valves, completed acceptance testing and RL-10 hot fire of the CFT engines, and performed quality testing at the Langley Research Center for the landing airbag system. 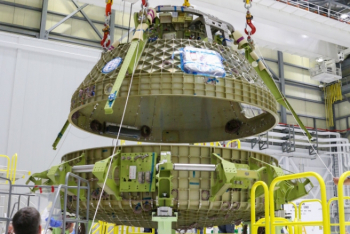 In terms of hardware, the Starliner Structural Test Article is at Huntington Beach, California, where proof pressure testing was completed last December. At the C3PF, the former OPF-3, at the Kennedy Space Center, Spacecraft 1’s Crew Module upper and lower dome outfitting work is on track to support power on testing this year. The Spacecraft 1 Service Module’s structural panels have also arrived at the space center. Moreover, Spacecraft 2’s upper and lower dome outfitting has begun in C3PF, and Spacecraft 3 is “progressing across the supply base,” notes the CCP presentation to the NAC. At present, Boeing’s uncrewed demonstration flight is slated for June 2018 ahead of the crewed demo flight in August 2018. Since the last NAC update, SpaceX has completed the design review for the validation propulsion module and is continuing to parse down there open items list in support of design implementation closure for the crew version of their Dragon capsule. According to Ms. Lueders, the fact that SpaceX completed their suit milestones in 2016 “really built up a lot of confidence amongst the team” who had been nervous about the suit milestone. To this, Ms. Lueders added that NASA and the CCP was given a demonstration last fall of crew egress as part of the Launch Segment Operational Readiness Review for SpaceX. In terms of the Falcon 9, NASA and the CCP are continuing to partner with SpaceX on the implementation of the Block 5 design upgrade. 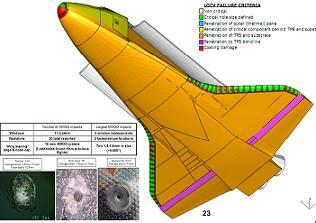 Merlin 1D and MVAC design reviews have been completed. Shifting gears to demonstration and testing, the activation of LC-39A this year and the subsequent three launches from there have “given us a lot more data on 39A then we had originally planned to have prior to the crewed missions,” noted Ms. Lueders. 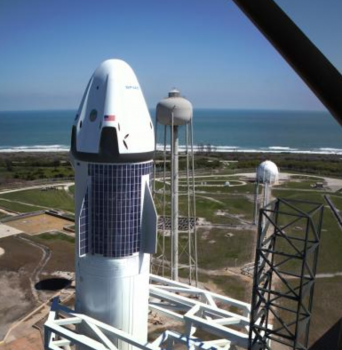 SpaceX is also proceeding through parachute testing as well as the build for four Dragon crew modules. Currently, the commercial company is in production of a qualification module, the DM-1 and DM-2 modules, and an ECLSS module. The qualification module is undergoing structural testing at this time while the DM-1 service section is undergoing integration work with planned completion in Quarter 2 of this year. The ECLSS module has completed its four-person test, and the DM-2 Dragon is proceeding through weldment with an anticipated completion date in Quarter 2 of this year. SpaceX’s uncrewed demo flight is currently scheduled for later this year, in November, ahead of the crewed demo flight in May 2018.